Coldplay rocker Chris Martin is finally shedding some light on his and wife Gwyneth Paltrow's split in an interview with BBC Radio 1. "I wouldn't use the word 'breakdown,'" the musician said when asked if his "conscious uncoupling" — announced a month ago — inspired the band's upcoming album, "Ghost Stories." "This was more a realization about trying to grow up, basically. Like I said, if you can't open yourself up, you can't appreciate the wonder inside. So you can be with someone very wonderful, but because of your own issues, you cannot let that be celebrated in the right way." Martin went on to explain that he didn't want to be afraid of living. "What changed for me was, I didn't want to go through life being scared of it, being scared of love, being scared of rejection, being scared of failure," he told BBC Radio 1. "About two years ago I was a mess, really, because I can't enjoy the thing that we are good at, and I can't enjoy the great things around me because I'm burdened by this — I've got to not blame anyone else and make some changes." "Up to a certain point in my life, I wasn't completely vulnerable and it caused some problems. If you don't let love in, then you can't really give it back," Martin said. "So what 'Ghost Story' means to me is, like, you've got to open yourself up to love and if you really do, of course it will be painful at times, but then it will be great at some point." 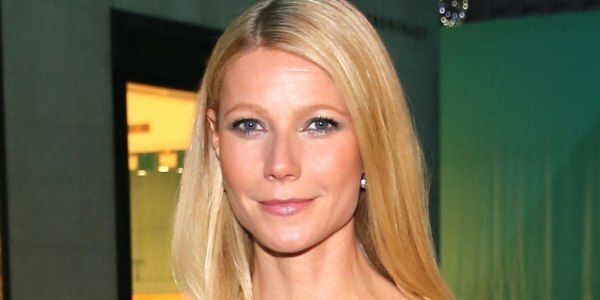 The musician — who has two children with 41-year-old Paltrow — also revealed he and the band decided to be open about things in the new album. "I think everyone in their life goes through challenges, whether it's love or money, kids or illness. ... You have to really not run away from that stuff," he said. "What we decided to do on 'Ghost Stories' was to be really honest about it and say, 'This is what's been happening.'" The Oscar-winning actress is also a singer, cookbook author, and mom of two. But that wasn't the only reveal Martin made. It turns out the frontman of the award-winning band is a big fan of boy band One Direction. "I'm saying One Direction are brilliant! And I'm not kidding," he admitted before explaining his opinion. "Because their songs are really good." And it's not just 1D's tunes that impress that rocker. Martin said that young heartthrob Harry Styles has been to a few of Coldplay's shows, and he was quite impressed with the young musician's 'do. "I was too enamored with his haircut," Martin admitted. "I was like this: 'I was pretty sure I was a straight guy before.'" Martin's interview airs Monday on BBC Radio 1.